The Limit Is Unlimited-Child Obesity Campaign's Mission Is To "give Back" And To Show Others What They Can Achieve. Designed To Help A Person With Their Weight Management, Active Lifestyle And/or Fitness/Performance Goals, 90 Days At A Time. 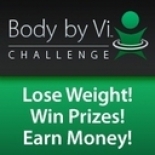 Save Money, Win Prizes, And Get In The Best Shape Of Your Life! The Limit Is Unlimited-Child Obesity Campaign Rewards People Who Take Advantage Of Our Health Products And Support Tools To Transform Their Bodies. The Limit Is Unlimited-Child Obesity Campaign Is The Fastest Growing Weight Loss Company In The World. So Far 8 Million Lbs. Have Been Lost In Less Than 24 Months! Also, Many Professional Athletes And Celeberaties Use These Products And Have Joined The Child Obesity Campaign Such As Steve Harvey, Monique, Roy Jones Jr., Master P, Percy Miller Jr. (Lil' Romeo), Matt Lehr, And Many, Many, More. The Limit Is Unlimited Child-Obesity Campaign Products Give Your Body What It Needs To Lose Weight. No More Counting Calories Or Trying To Balance How To Get The Right Mix Of Nutrients Within Your Calorie Limit. You Can Define HOW You Use It To Meet Your Lifestyle, Even A Lifestyle That's On The Go. Balance Kit - Only $49. Contains 30 Healthy Meals For Overall Balanced Nutrition. Features Vi-Shape - "A Shake Mix That Tastes Like A Cake Mix"
•Meal Replacement - One Shake A Day. It Actually SAVES You Money To Take It. •Proprietary 'TriSorb Protein Blend" Works To Target Fat While Simultaneously Building Lean Muscle. •Lower Sodium, Lower Carbs, Lower Sugar, More Fiber, More Digestive Enzymes, And Higher Quality Protein Than Competitors. •Promotes An "alkaline Neutralizing" Effect. •Sweet Cream Flavor. Can Add Variety And Focused Health Benefits With Patent Pending Health Flavor Mix-Ins. Shape Kit - $99. Contains 60 Meals Designed To Help Reshape Your Body And Generate Faster Results. Core Kit - For Only $199. Perfect For Maintaining An Active Lifestyle And The Ultimate Lifelong Maintenance Program. Also Features NEURO "Smart Energy"
•Unique, Patent-pending Herb Based Energy Drink Mix Designed To Awaken The Brain And Fight Fatigue Without The Jitters. •TREND: Energy Drink Market Projected Double In Less Than 5 Years. •Healthy Niche: No Sugar Added, 1 Gram Carbs, 5 Calories, All-natural Flavor And Color! 2 Great-tasting Flavors! •Portable "on The Go" Packet That Mixes Easily In Water, Iced Tea, Hot Tea, Or Any Beverage. Transformation Kit - For Only $249. Everything You Need For Total Transformation! Also Features Vi-Trim Appetite Suppressant. •Perfect Healthy Snack For Adults And Kids Alike. •Snack Category Is Projected To Go From To •9g Of Tri-Sorb Protein, Antioxidants, 5 Grams Of Fiber, Prebiotics, Only 150 Calories. •Tastes Amazing! Chocolate Chip, Oatmeal Raisin & Peanut Butter. The Limit Is Unlimited-Child Obesity Campaign in Dallas is a company that specializes in Eating Places. Our records show it was established in Texas.